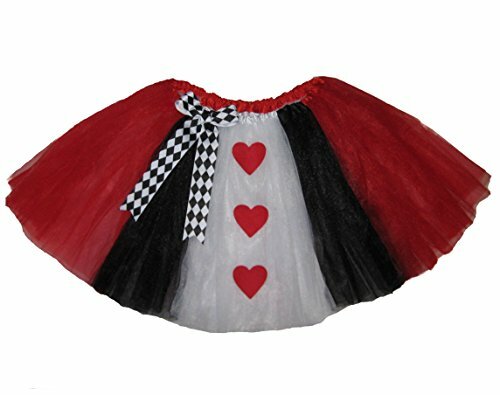 QUEEN of HEARTS Adult Tutu Super Soft, Super Full Semi-Sheer Ballet Dance Tutu. Perfect for Ballet, Costumes, Dancewear and Recitals. Great for getting noticed in 5K, 10K, Polar Plunges and Fundraisers. 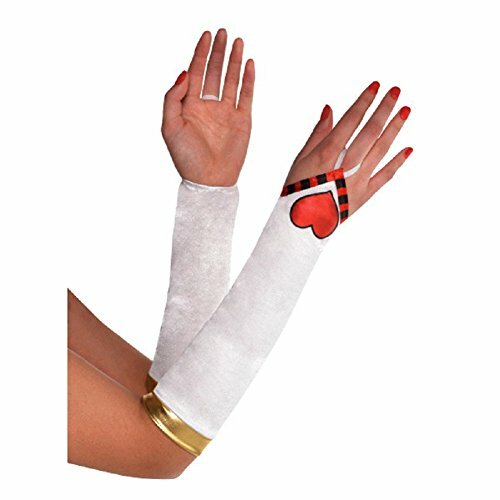 COLOR DISCLAIMER: We do our best to photograph each and every item to replicate the exact color of every item shipped, however, there may be slight color variations due to different dye lots and due to viewing of items on different monitors. SOUTHERN WRAG COMPANY – A Trademarked Brand – Ships from U.S.A.
Woven diamond card suit thighs high with bow and card charm on top. You are certainly going to be noticed with this beautiful dress! 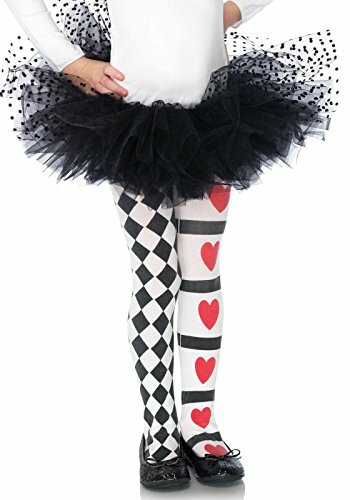 Popular Queen of Hearts costume. 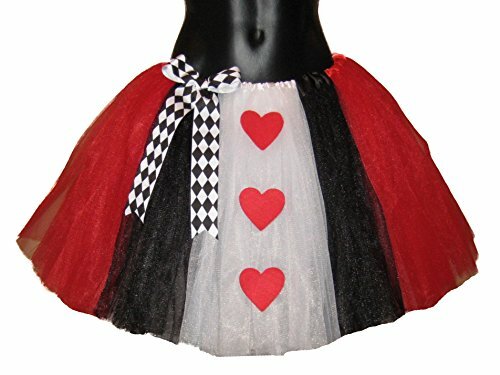 Very complete Queen of Hearts costume with elegant long train in the back.